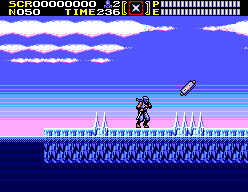 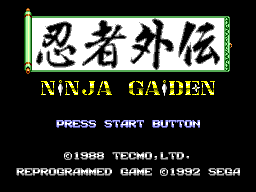 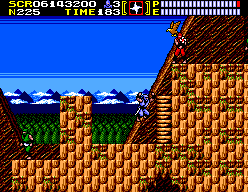 Ninja Gaiden (忍者外伝) - Games - SMS Power! 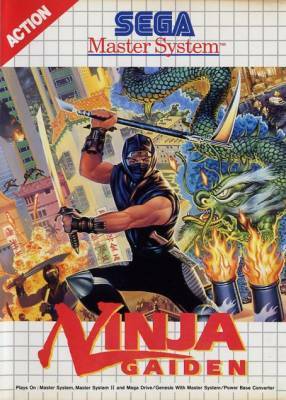 The Dragon Ninja village has been massacred! 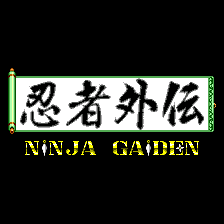 The powerful scroll of the Bushido has been stolen! 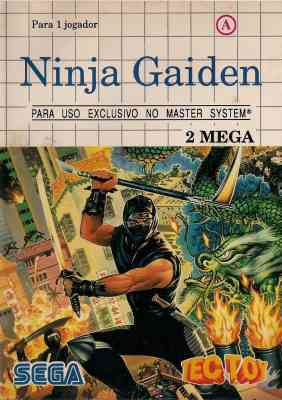 You are Ryu Hayabusa, last of the Dragon Ninjas, and you must find the Bushido before it can be used to unleash evil across the Earth!